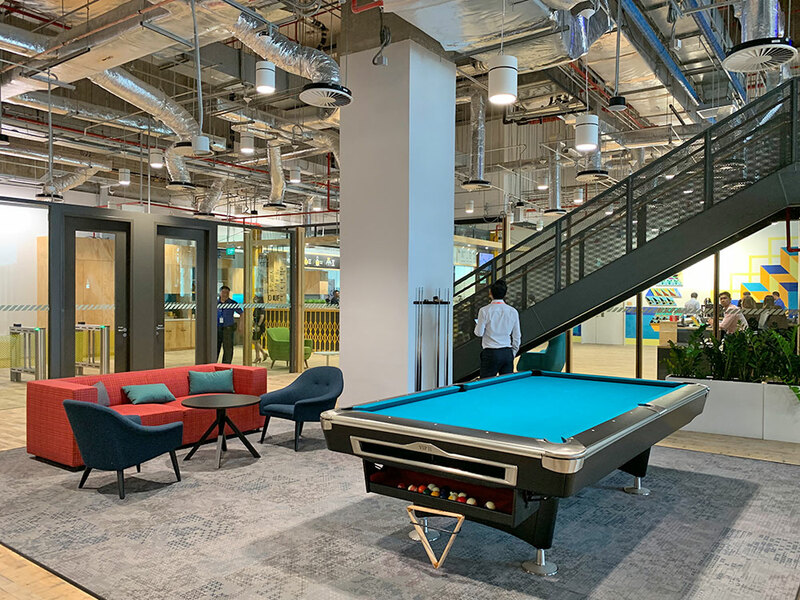 Facebook has a new office! 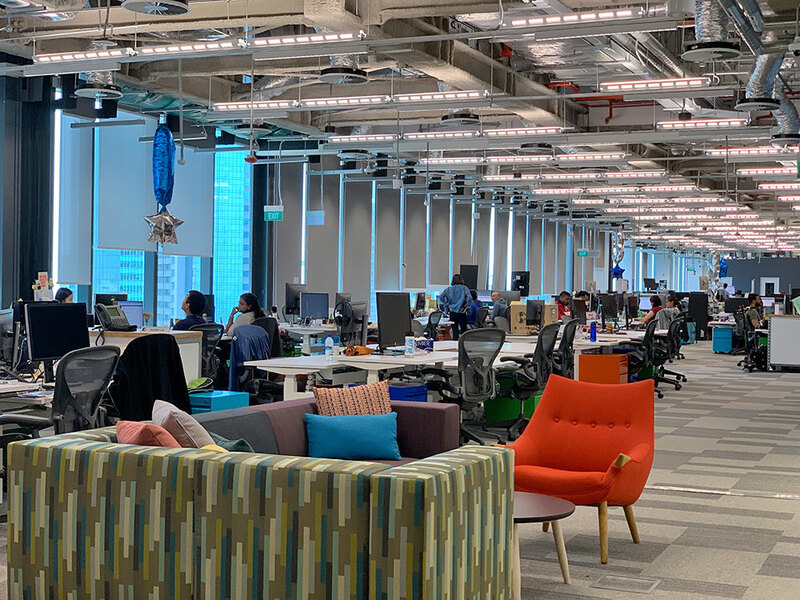 Located at Marina One, it's approximately 260,000 square feet across four floors (L26 - 30), and it houses Facebook's Singapore and regional teams. In fact, the L29 floor plate is Asia's largest Prime Grade A office floor plate at 100,000 square feet, and it spans 200 meters end to end. 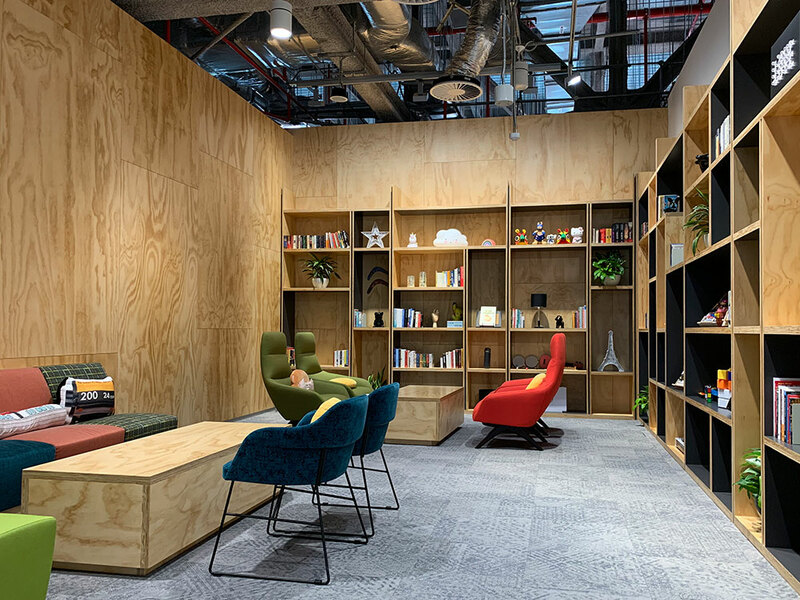 Facebook adopts an open office concept. While there are proper desks for Facebookers to work on, cozy corners like this are common at Facebook. 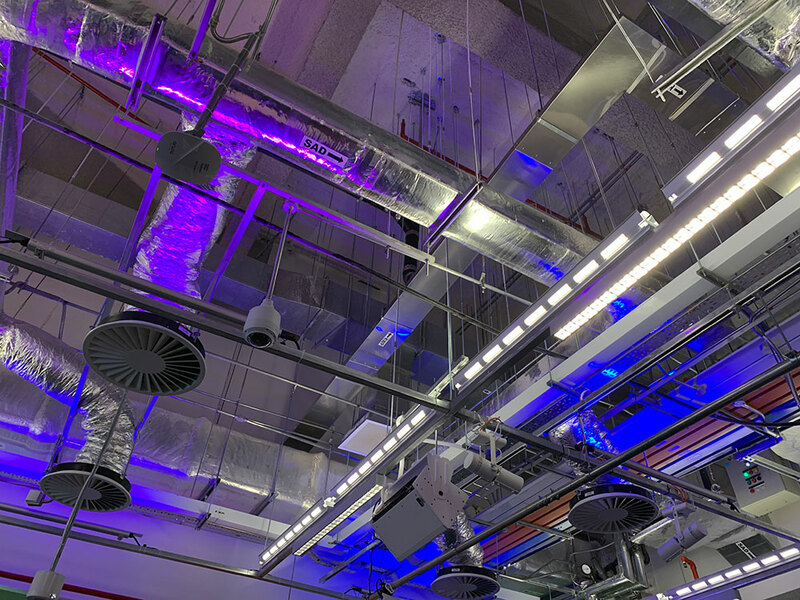 Believe it or not, Facebook says its ceilings are left uncovered or in a work-in-progress state on purpose. 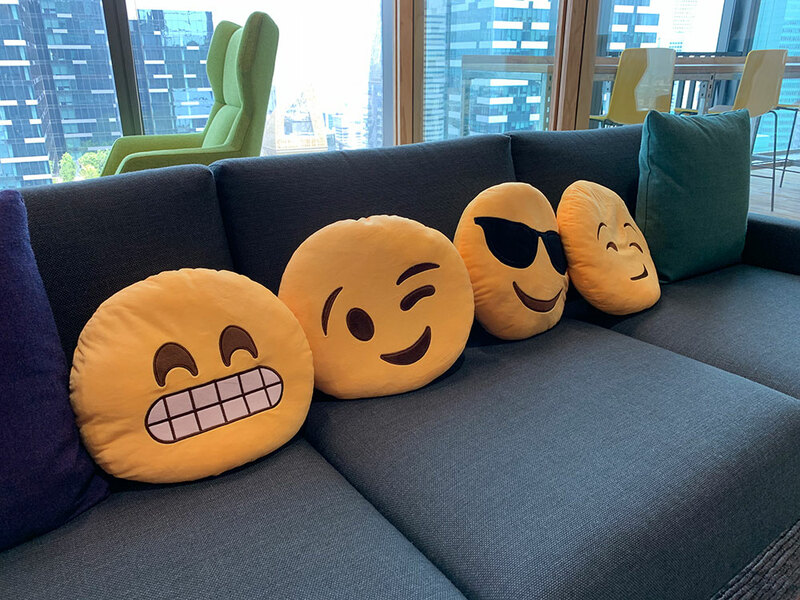 This is to remind Facebook employees that they are only 1% done in their mission to connect the world. Here's what the open office looks like. Thanks to the high floor, almost every one has a view. 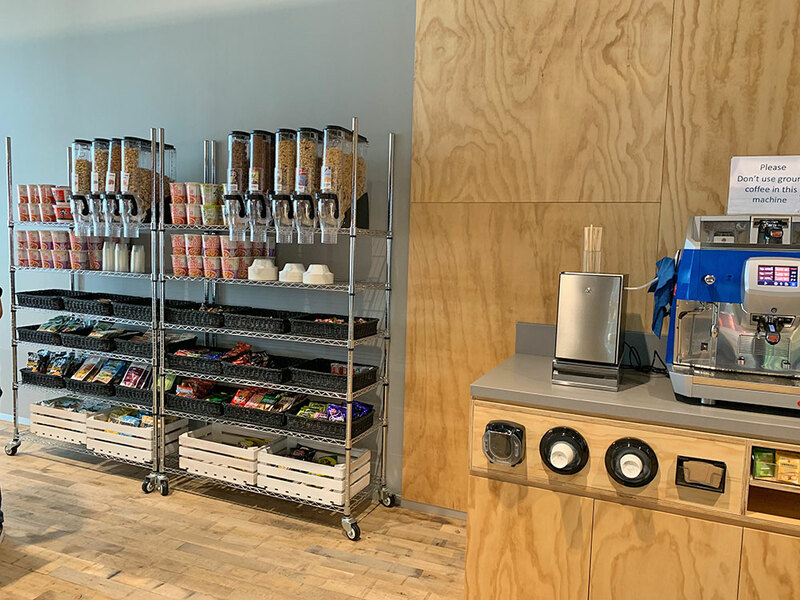 Micro and nano-kitchens are aplenty around the office, too, each offering a balance of sweet and savory snacks, as well as both hot and cold drinks. Here's a pool table we walked past on the way to L30, which is where the cafeteria is located. 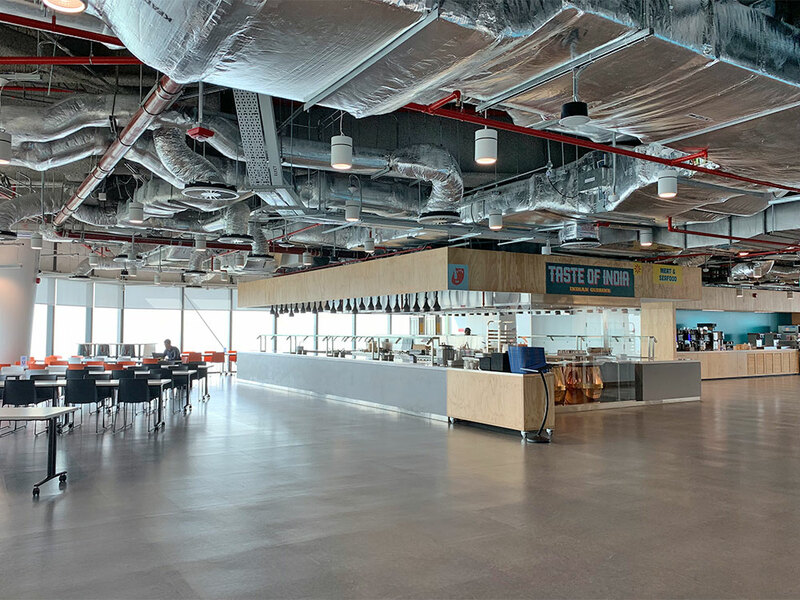 Café 30 is Facebook's in-house cafeteria. We suppose it's so named because it's on the 30th floor. 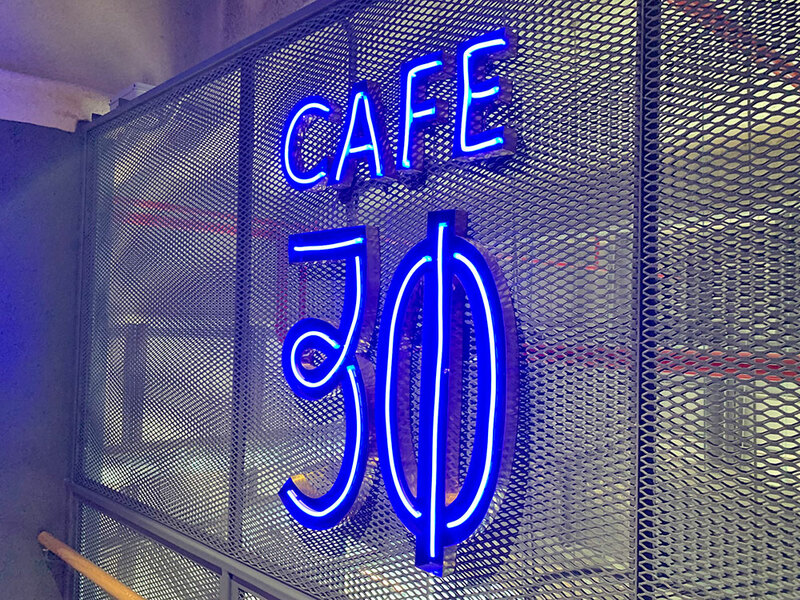 Café 30 serves all sorts of cuisines, from local Singaporean and Chinese food to Mediterranean and Italian food. Facebookers can come here for their breakfast, lunch, and dinner. Also, all the cutlery is completely re-usable, to help with sustainability. 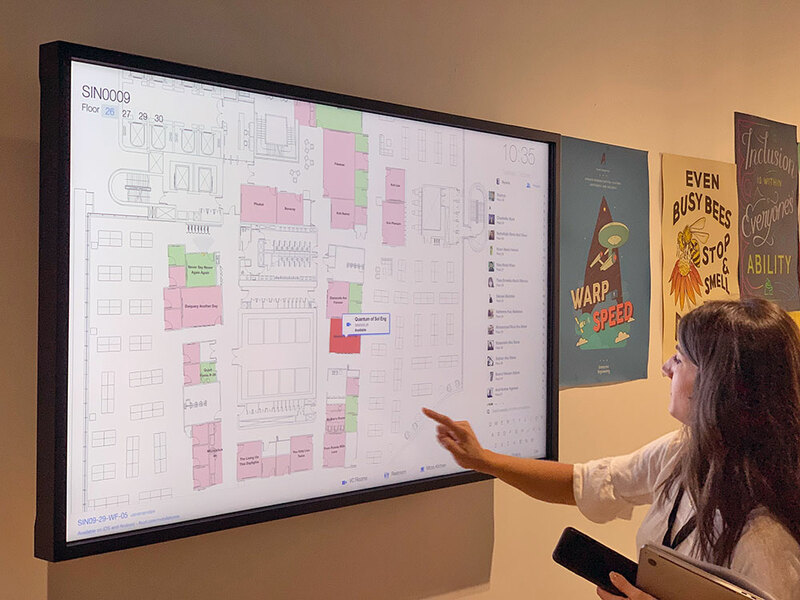 Because the office is so big, 'wayfinders' are positioned everywhere to serve as digital compasses. 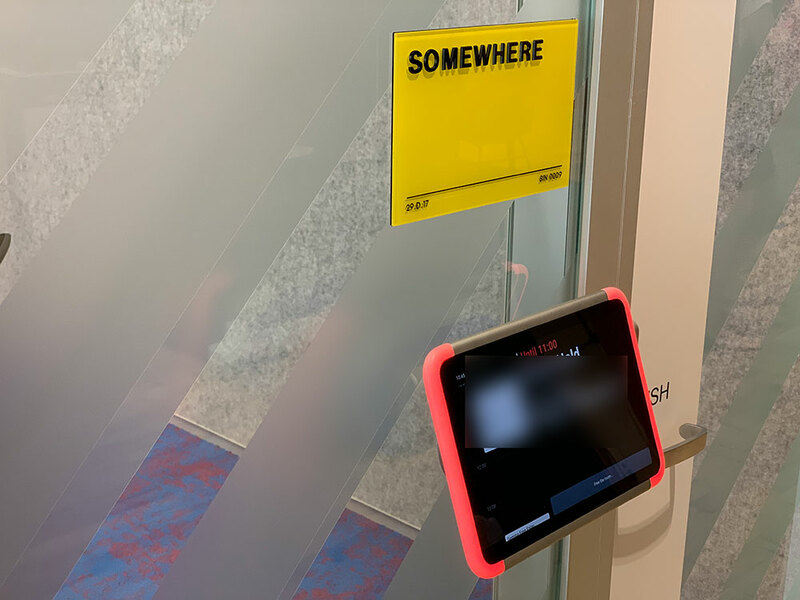 You can search and locate meeting rooms, people's desks, and even office amenities such as the copy & mail room, micro and nano-kitchens, and restrooms. 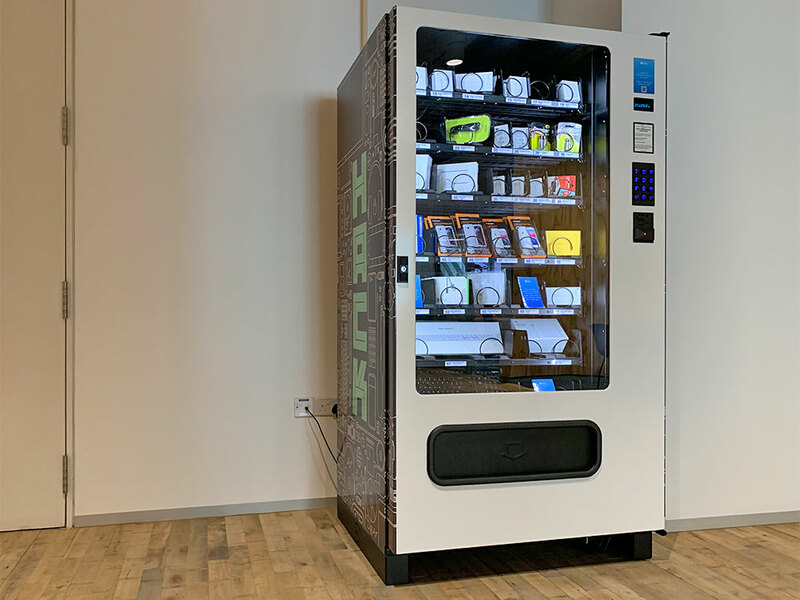 We also saw vending machines, selling accessories such as keyboards, phone cases, and cables. The result of a 'hacking' contest, this provides a way for Facebookers to buy accessories they forgot to bring from home. Considering the office is located at Marina One (instead of Rochor Canal Road), this makes sense. 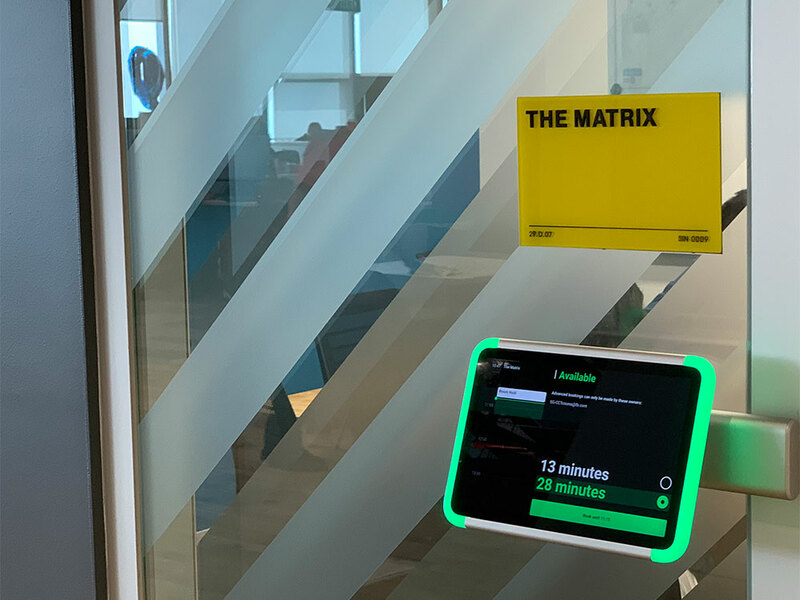 There are meeting rooms at Facebook, of course. And their names are based on employee suggestions, using Facebook polls. As a result, you get names like this: The Matrix. Other interesting names include: Demogorgon, Don't Say Bo Jio!, and Ang Ku Kueh. Facebooker #1: "So where's the meeting going to be at?" 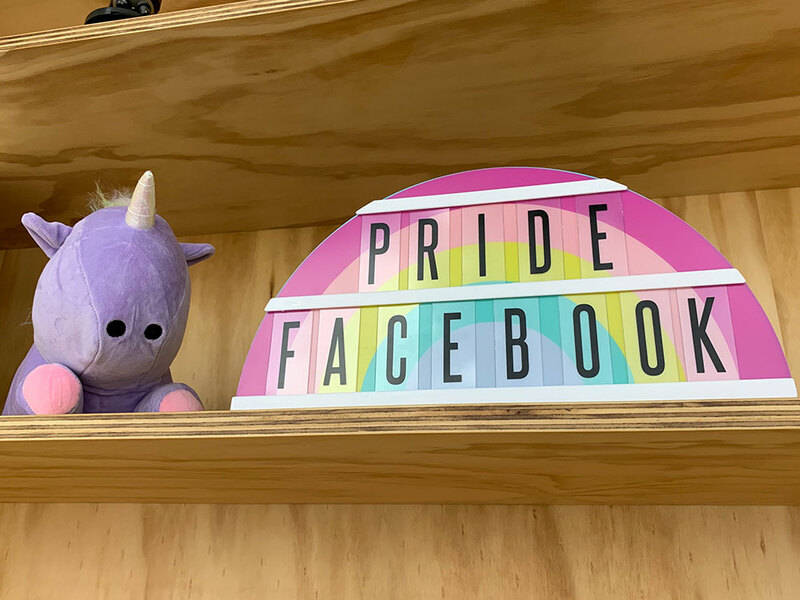 The Artist in Residence Program is Facebook's on-site art initiative to promote creativity, innovation, openness, and connectivity within the Facebook community. There's a total of 18 art pieces here at the Marina One office, from artists across Asia Pacific. 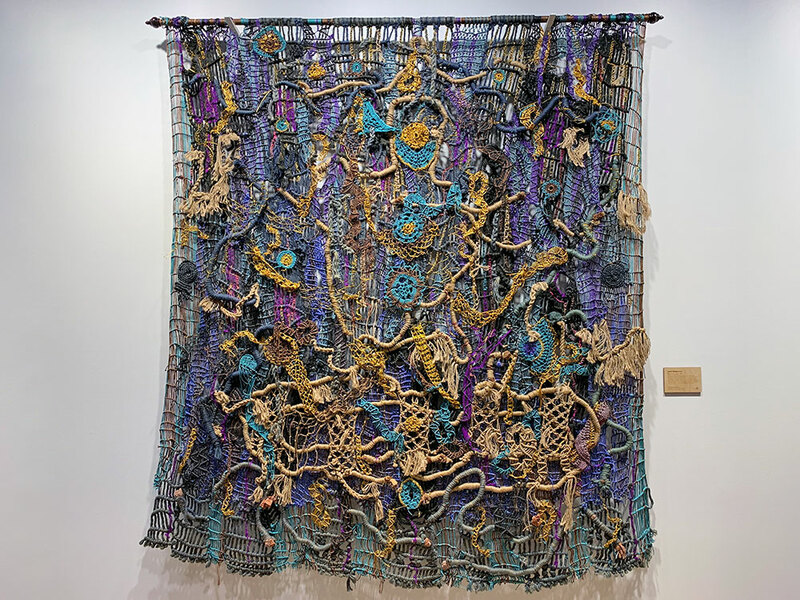 This handmade weaving is by Santi Wangchuan. 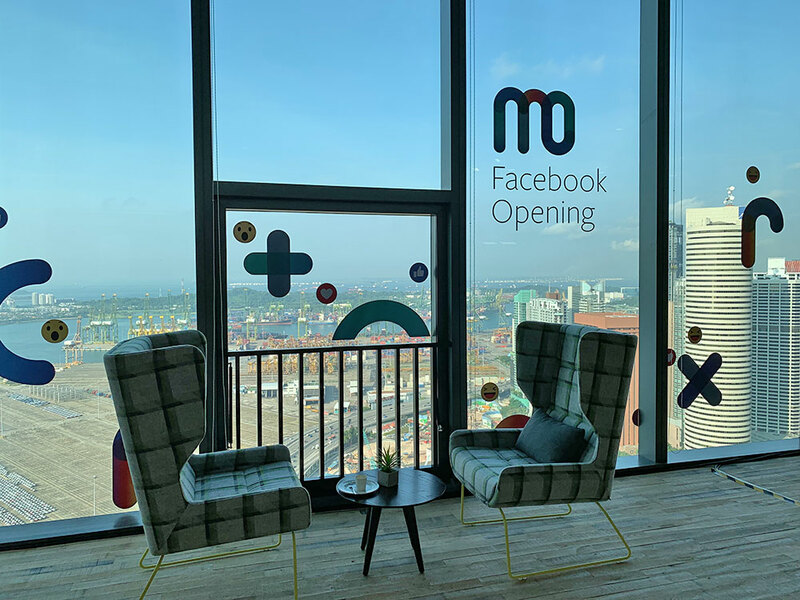 The Marina One office is also home to Facebook's first partner center in APAC. (There are only seven partner centers worldwide.) 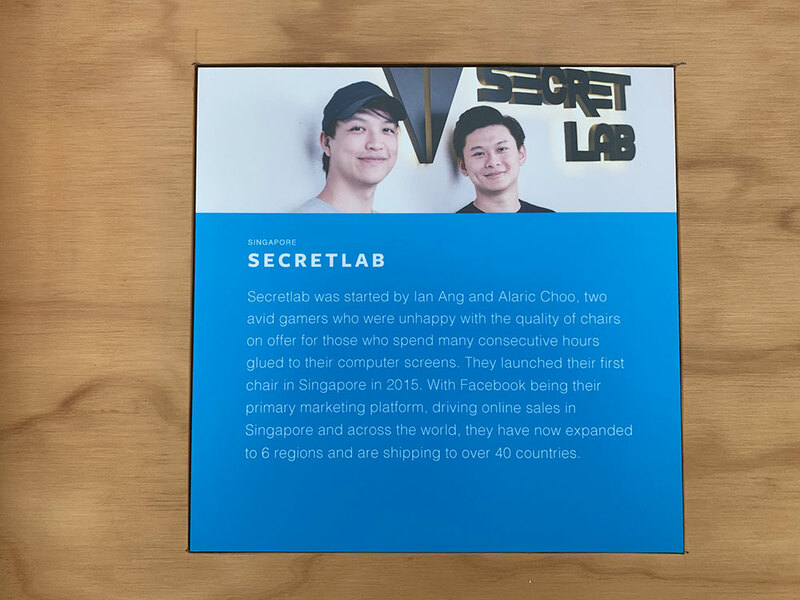 Here's where partners, SMEs, NGOs, etc., come to have meetings and learn more about Facebook's mission, vision, and culture. 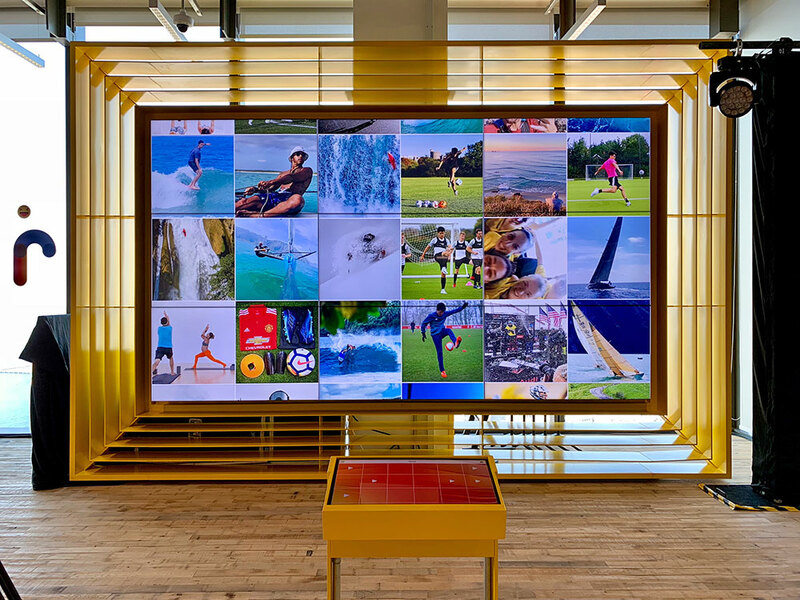 The most interesting installation at the partner center has got to be this giant interactive Instagram wall, which showcases some of the nicest-looking photos on Instagram. 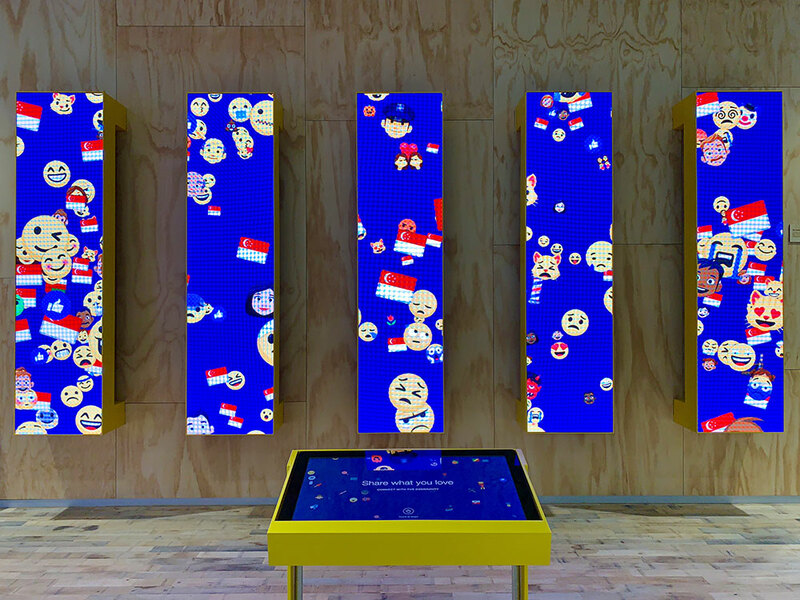 And this is the "Fountain", a digital installation consisting of five screens that display various emojis throughout the day. See that touchscreen? You can go up to it, select an emoji, and flick it onto the Fountain's display. One of the many partner success stories we saw at the partner center.